Join Southcentral Foundation’s President/CEO Katherine Gottlieb and a small group of world-class health care executives for a once-in-a-lifetime leadership workshop and experience hosted at SCF’s remote Silver Salmon Fish Camp on the coastline of Lake Clark National Park. Recognized as one of the world’s leading examples of health care redesign, Southcentral Foundation’s Nuka System of care is a relationship-based, customer-owned approach to transforming health care, improving outcomes and reducing costs. This selective, personalized workshop is an opportunity for you to discuss and discover new leadership approaches to address the challenges of our constantly changing industry. This year, the workshop will be hosted by Southcentral Foundation President/CEO Katherine Gottlieb. Network, exchange ideas and participate in strategic thinking exercises while fishing and viewing brown bears. Participate in two interactive, customized learning sessions on leadership and engaging your community. Get on our email list for updated information about the 2019 Executive Leadership Experience. **Depending on weather, we may depart on this day to fish camp. We appreciate your flexibility! Please plan to be flexible with you departure day in the event that weather delays departure. Consider adding time in Anchorage following the experience. Katherine Gottlieb, MBA, Doctor of Public Service and Doctor of Humane Letters, is originally from the Kodiak Island village of Old Harbor. She is a tribal member of Old Harbor, a tribal member and an elected member of the tribal council for the Seldovia Village Tribe, and an honorary tribal member of the Native Village of Eklutna. Her mother, Margaret, was Sugpiaq (Alutiiq), and her father, Alfred Quijance, was Filipino. Gottlieb has served as president and chief executive officer of Southcentral Foundation in Anchorage, Alaska, for 25 years. SCF provides health and related services to 65,000 Alaska Native and American Indian people in a geographical service area of 107,400 square miles. SCF also jointly owns and operates the 150-bed Alaska Native Medical Center hospital supporting 140,000 people statewide. Gottlieb began her career in health care as a community health representative in Seldovia, Alaska, a community of about 300 people accessible only by boat or plane. While pursuing an undergraduate degree, Gottlieb worked at SCF’s headquarters in Anchorage as a receptionist. She quickly worked her way up the ranks, and by 1991, was serving in the organization’s top executive position. An innovative and visionary leader, Gottlieb has partnered with SCF’s Alaska Native board of directors, fellow customer-owners and other leadership, to transform health care for the Native Community. Today, as SCF’s chief executive, she oversees more than 2,000 employees and an annual budget of $349 million to manage more than 80 health care programs, services and departments. Under her direction and guidance, SCF’s Nuka System of Care has earned the Malcolm Baldrige National Quality Award and other national and international recognitions for performance excellence and innovation. She is also the recipient of the 2015 Harry S. Hertz Leadership Award – presented by the Foundation for the Malcolm Baldrige National Quality Award – recognizing her visionary leadership and commitment to customer-driven quality improvement in health care. For 2016, Gottlieb was presented the Indian Health Service National Director Award for a record-setting year for Tribal partnerships. SCF provided support for 44 Tribes and Tribal organizations who have been inspired by SCF’s Nuka System of Care. Gottlieb holds a BA, MBA, and an honorary doctorate from University of Alaska Anchorage and an honorary doctorate from Alaska Pacific University, where she is a trustee emeritus. 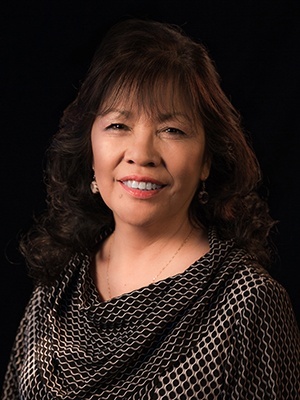 She is a Visiting Scientist at Harvard Medical School as well as a former board member of Cook Inlet Native Head Start, the Alaska Native Heritage Center, and the National Library of Medicine Board of Regents. She remains active at the national level on behalf of Alaska Native and American Indian policy issues. She is the wife of Dr. Kevin Gottlieb, a mother of six, grandmother of 30 and great grandmother of five. 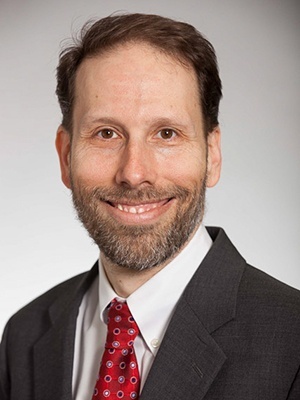 Jeffrey Brenner, M.D., is the Senior Vice President of Integrated Health and Social Services at UnitedHealthcare Community & State. UnitedHealthcare Community & State proudly serves nearly 6.4 million Medicaid members in 27 states, plus Washington D.C. UnitedHealthcare is a division of UnitedHealth Group (NYSE: UNH) which is a diversified health and well-being company with a mission to help people live healthier lives and help make the health system work better for everyone. In this role, Dr. Brenner leads the Integrated Clinical and myConnections™ teams. The Integrated Clinical team oversees the national care management, quality, value based contracting, and clinical innovation strategy for UnitedHealthcare Community and State. myConnections™ is UnitedHealthcare’s program to help low-income individuals and families access essential social services that are the gateway to better health. Dr. Brenner’s duties also include partnering across the organization to achieve Community & State’s clinical objectives. Before joining Community & State, Dr. Brenner served as a family physician working in Camden, NJ. He owned and operated a solo-practice, urban family medicine office in Camden providing fullspectrum family health services for local Medicaid populations. Recognizing the need for a new way for hospitals, providers, and community residents to collaborate, he founded the Camden Coalition of Healthcare Providers in 2003, where he served as Executive Director until 2017. Dr. Brenner’s, and the Coalition’s, innovative use of data to identify high-need, high-cost patients in a fragmented system and improve their care was profiled in the 2011 New Yorker article “The Hotspotters” by writer and surgeon Dr. Atul Gawande, and on PBS Frontline. In 2013 Dr. Brenner was honored with the MacArthur “Genius” Fellowship for his work, and in 2014 was elected to the Institute of Medicine. Dr. Brenner holds a bachelor’s degree in Biology from Vassar College in Poughkeepsie, NY, and graduated from Robert Wood Johnson Medical School in New Brunswick, NJ. He completed his residency with Swedish Family Medicine in Seattle, WA. Silver Salmon Fish Camp is located on the western shores of Cook Inlet. We coordinate travel from Anchorage, Alaska by small plane on a one-hour scenic charter flight over tidal marshes, streams and volcanic mountain ranges. Accommodations in the lodge feature cabins, a separate restroom facility with a banya (traditional sauna), and communal dining and living areas. ATVs are used to transport participants for nearby fishing, bear viewing and sightseeing activities. Count on not having cell reception at the camp; there is WiFi and a camp phone. For participants interested in taking advantage of the world renowned silver salmon fishing, SCF will arrange an opportunity for you to purchase the appropriate fishing license. Information about rules, regulations and acquiring a fishing license online will also be provided.